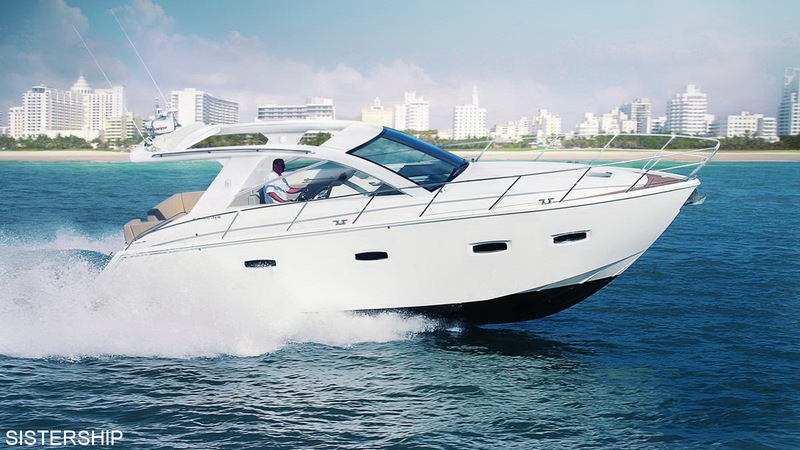 The Sealine SC35 attracted lots of attention when first introduced because of its daringly different styling. 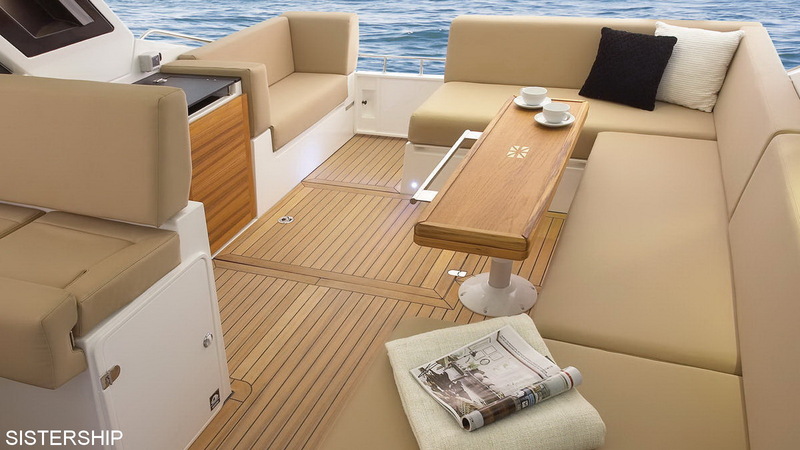 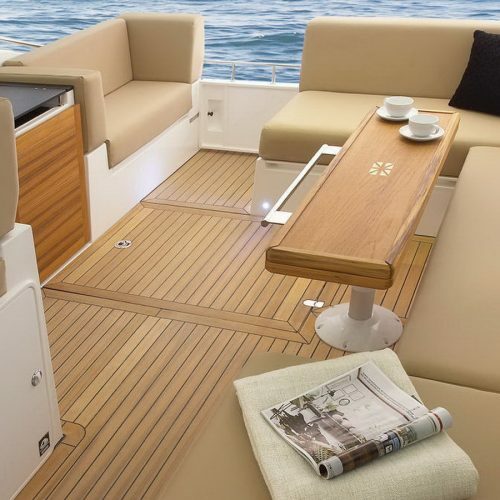 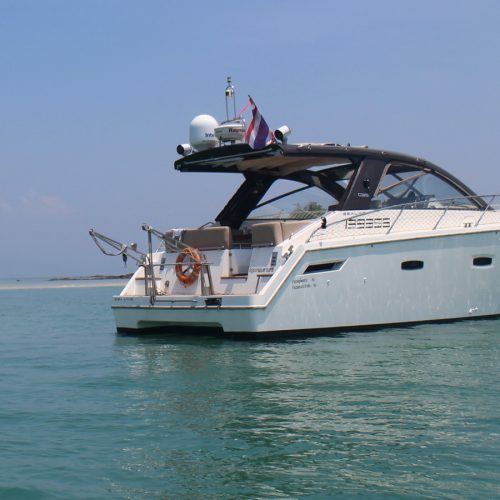 It features a high freeboard and vertical topsides carried well forward resulting in a vast interior volume unlike that found on any other boat of its size. 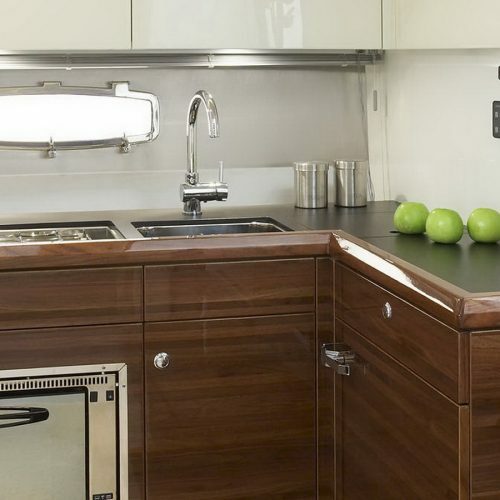 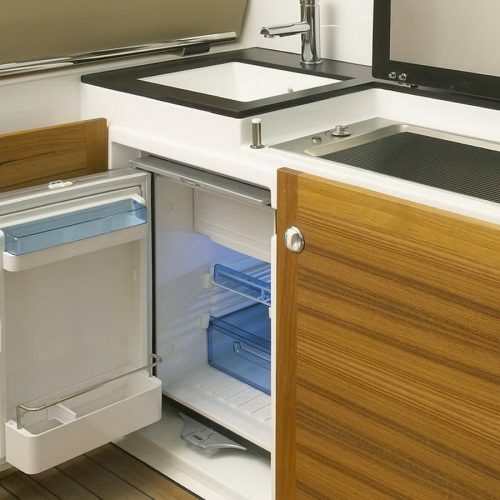 The forward owner’s cabin is wide and spacious with an en-suite electric flush head and separate shower stall which is also accessed from the saloon as the day head. 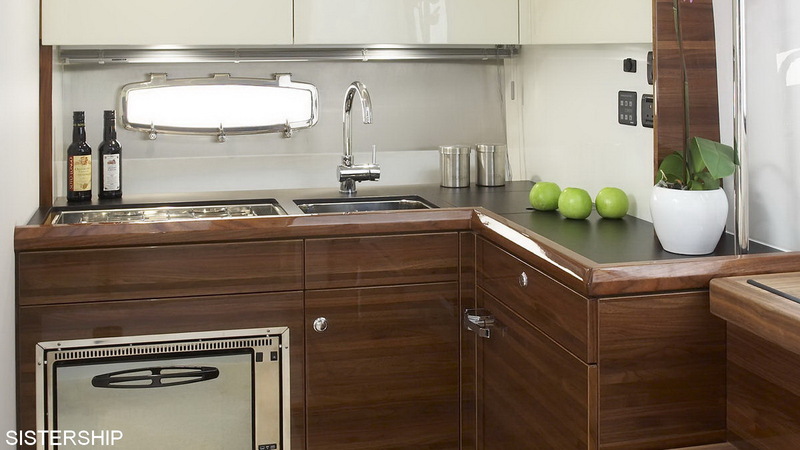 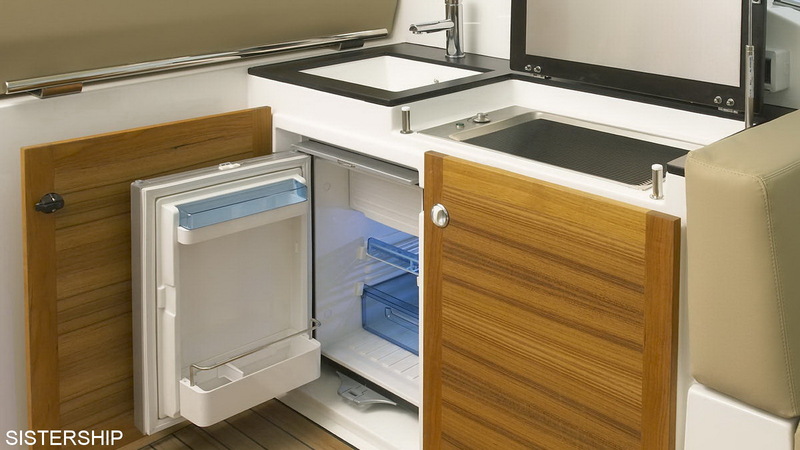 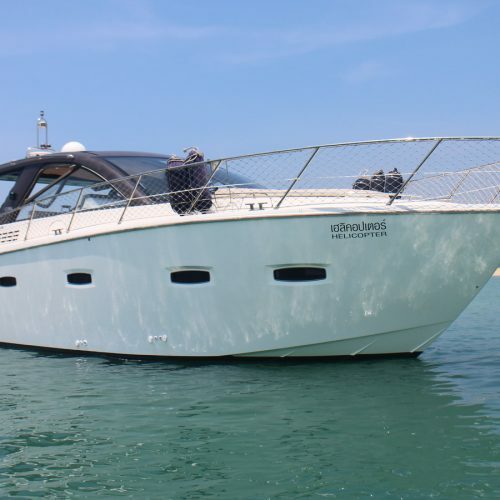 There is a spacious saloon and galley and a three berth aft cabin making it an ideal cruising boat for a larger family. 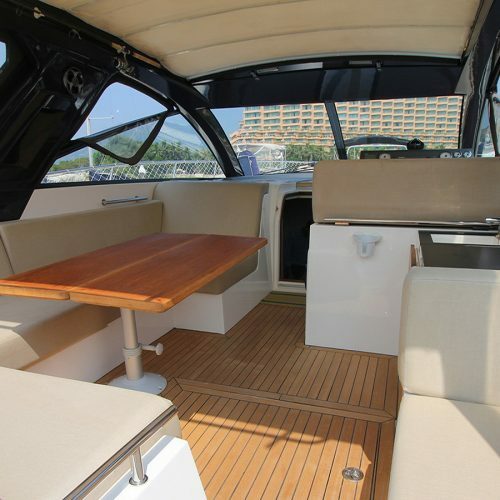 Up on deck is where this boat really feels much bigger than the average 35 footer. 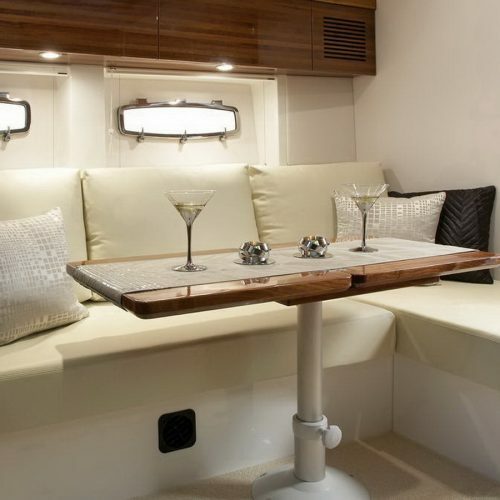 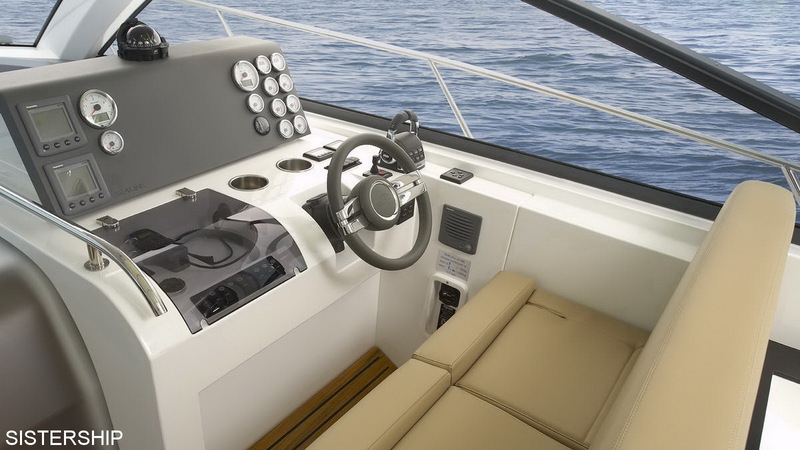 There is a double helm seat with excellent visibility, a wet bar with sink and gas BBQ and comfortable seating for eight guests. 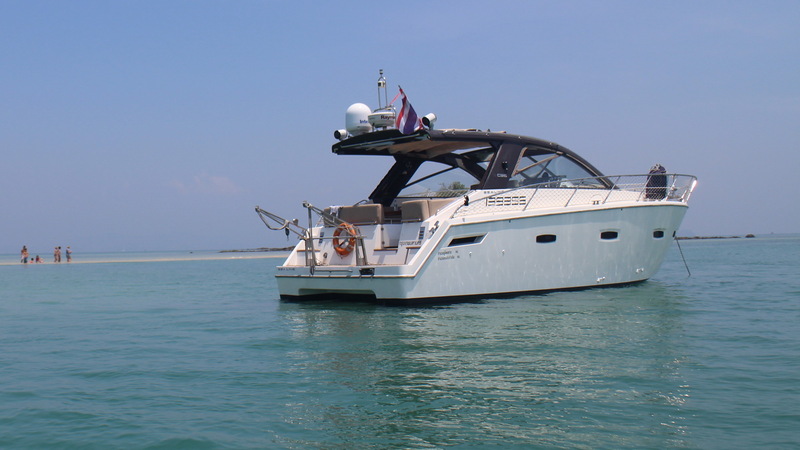 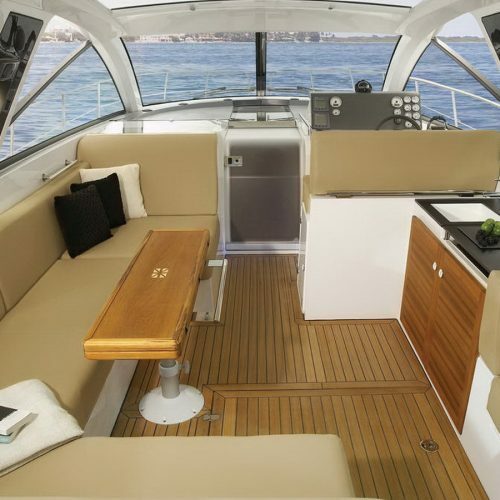 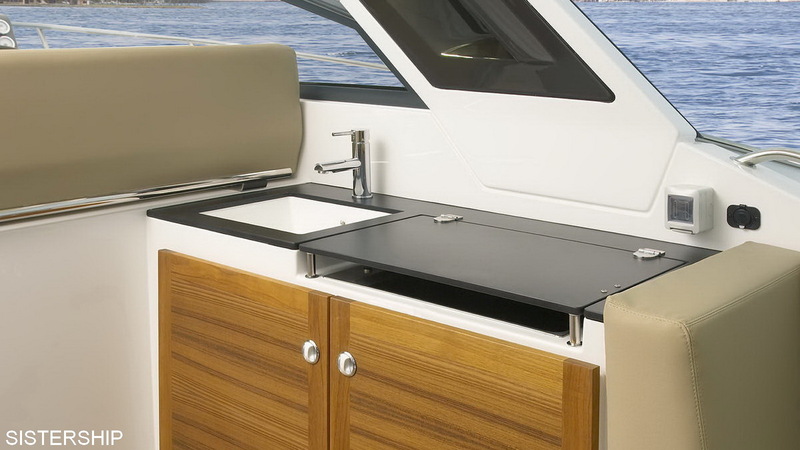 Protection from the elements is afforded by a large hard top with a huge sliding canvas roof if you want to open up the boat to the sun and breeze under way. 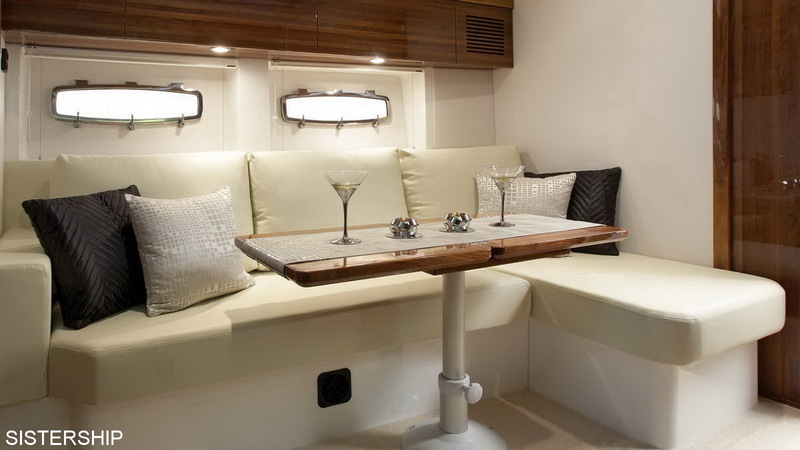 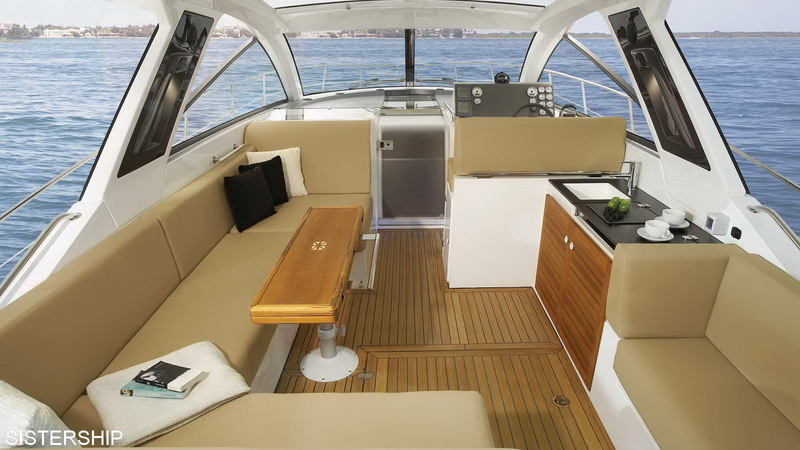 With the roof closed and the aft canvas enclosure in place the cockpit can be air conditioned and the table converts to a bed for extra overnight guests. 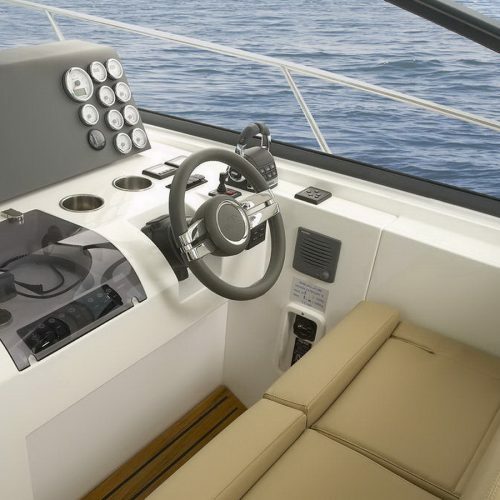 The boat is powered by twin Cummins Mercruiser QSD 4.2 320 horsepower diesel engines with only 300 hours giving a top speed of a little over 31 knots. 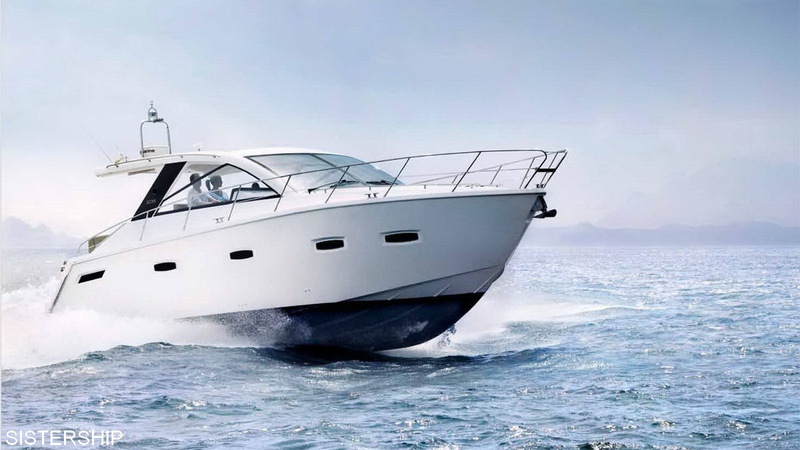 At a cruising speed of 25 knots the engines burn only 100 litres an hour giving an absolute range of over 180 miles. 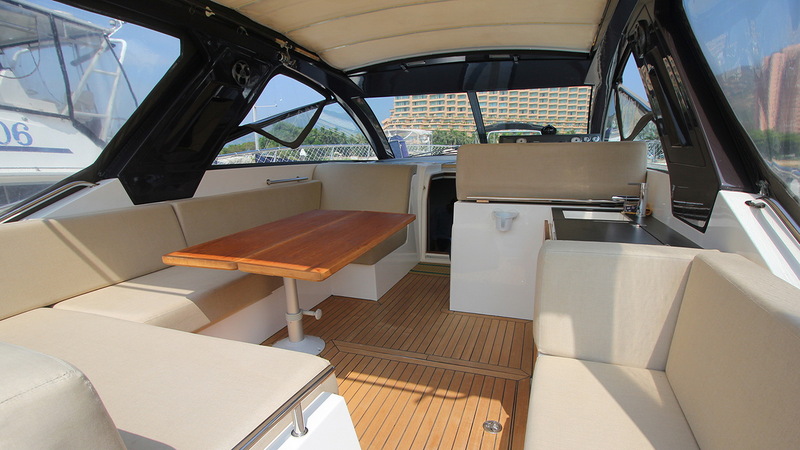 Off the plane the boat can cruise very economically at 7 knots for up to 700 miles. 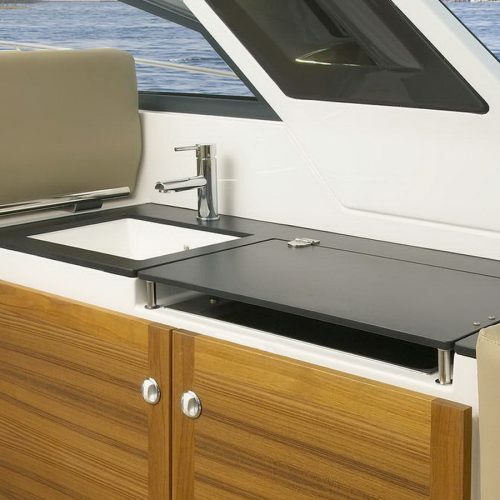 There is a good sized swim platform and a set of davits for the Walker bay RIB dinghy and outboard. 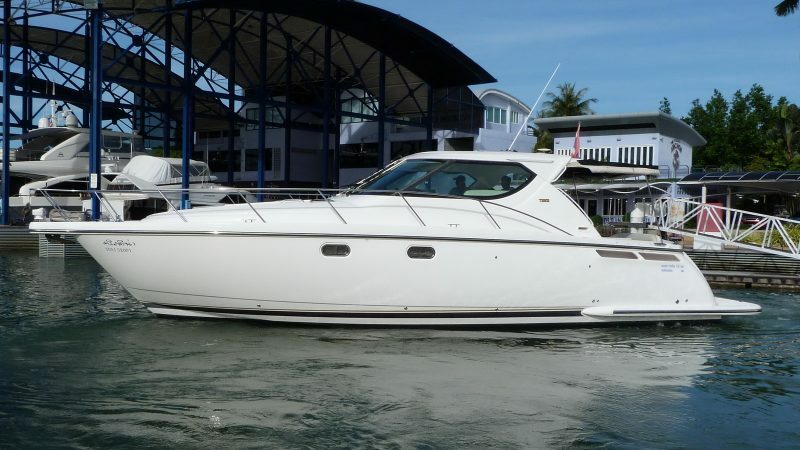 With two good sized cabins sleeping five and an air conditioned enclosable cockpit this is a superb boat for the waters around Phuket. 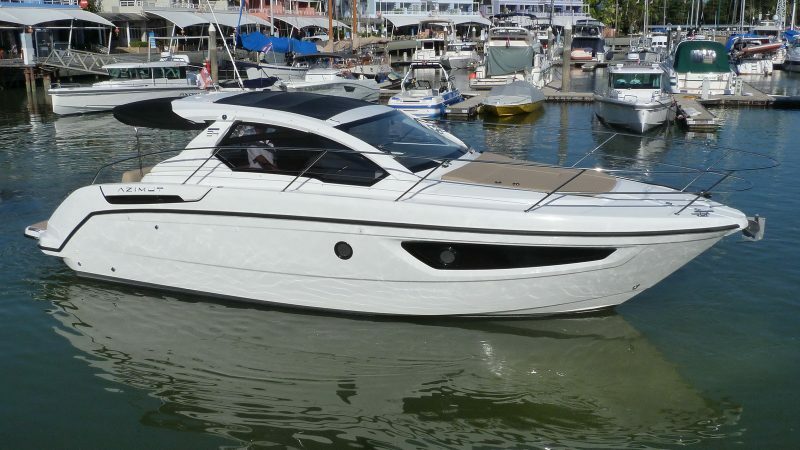 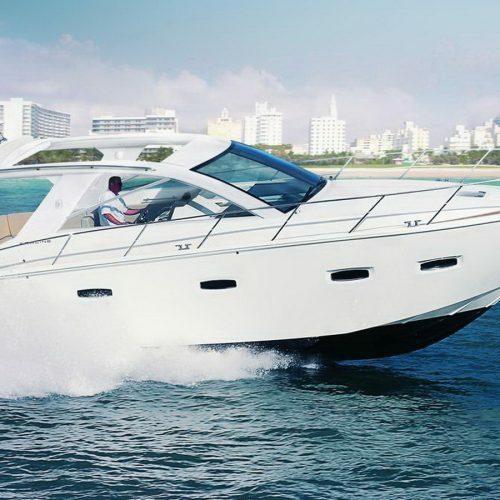 Economical and comfortable at low speed and agile and exciting at high speed this Sealine SC35 has it all. 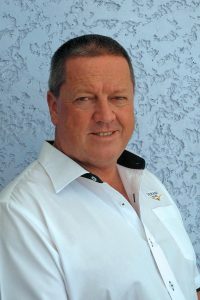 Ian is the brand manager for Sirena Yachts, the innovative builder of long range cruising motor yachts. 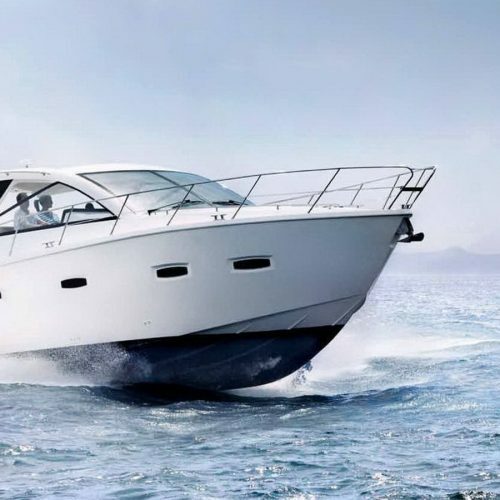 He is also the brokerage manager at Derani Yachts and personally visits and photographs all the brokerage boats we have for sale. 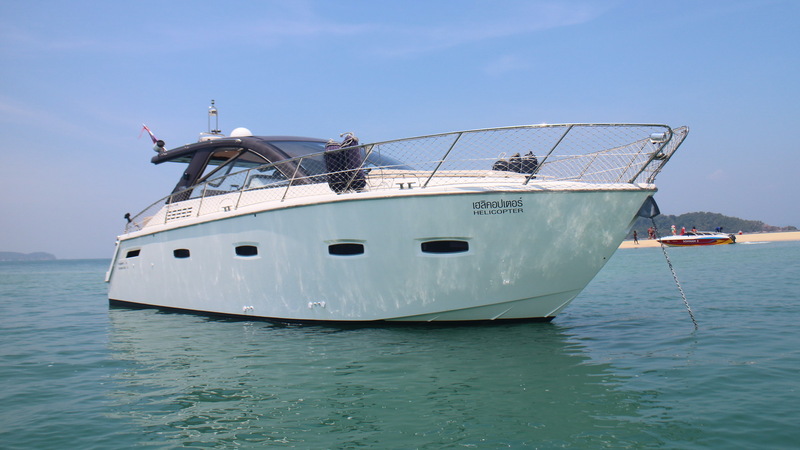 If you are looking to buy or sell a second hand boat then he is the one to see. 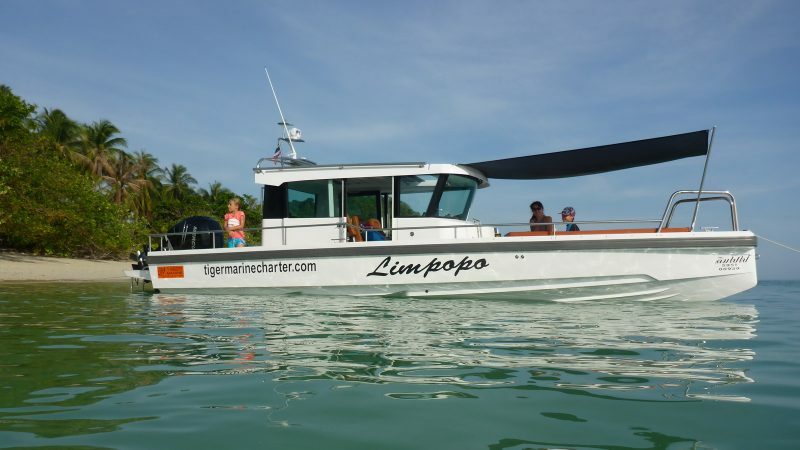 Ian also has extensive knowledge of the region if you need any cruising advice.